African Hospitality Institute began as a radical experiment in 2002 by its founder Maggie Josiah to seek meaning and purpose in life through service to others and trust that with God all things are possible. With years of experience in the hospitality industry, building a guesthouse that could be used as a training center was a perfect quest. By 2006, the 10 room guesthouse was under construction and the hospitality vocational training program began teaching and caring for international guests at Ekitangaala Ranch in Central Uganda, East Africa. As a community of faith, AHI is committed to journey with those who want to step into a transformed life marked by hope, wholeness, and opportunities. 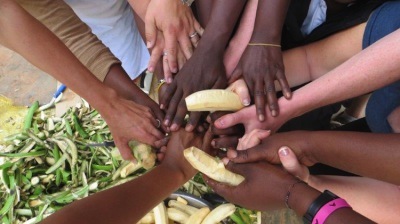 Located out in an isolated rural ‘bush’ village setting, AHI prepares unemployed young men and women for employment in the tourist industry of Uganda through a 2 year journey of hand’s-on vocational training program blended with relational discipleship through an intentional mentoring community. With over 80% unemployment, AHI graduates are finding employment at 5-star hotels and safari lodges throughout Uganda. The guesthouse also serves as a destination for international volunteers to work amongst those trapped in extreme poverty through sharing their lives, the love of God and their skills. AHI teaches its guests how to help others without creating more dependency by offering dignity and freedom to those who have been marginalized and discounted. This is often life changing for our visitors as they bear witness to those who have so little, yet share joy; to those who have suffered so much, yet remain faithful. Together in community, everyone discovers they are not alone and the hope of a better tomorrow by loving our neighbors well. 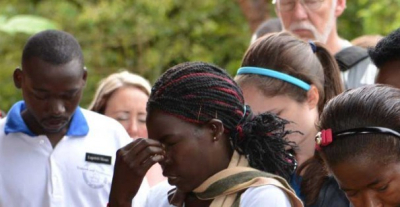 African Hospitality Institute, located in the bush of Central Uganda, is transforming lives one person at a time; breaking the bonds of poverty and dependency that hold people back from living a full and productive life that blesses others. 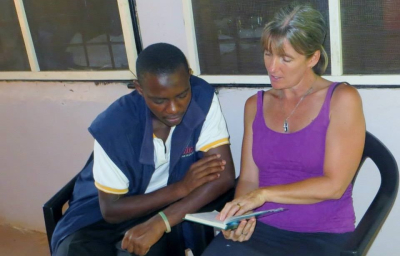 Its unique vocational training and relational discipleship programs impact unemployed Ugandan men and women. Its 10 room exclusive guesthouse provides a sanctuary of opportunities to Western Mission Teams and Humanitarian Volunteers with life changing experiences as they work alongside and share their lives with those trapped in extreme poverty.